Wheelchair and Scooter Ramp with Handrail, Foldable. If you're a wheelchair or scooter user that needs to gain entry or exit from locations with a low step, then you'll know the challenge that this can present. 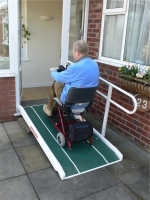 However, we're pleased to be able to offer this wheelchair ramp with hand rail as a solution. It's manufactured by Jet Marine and available in several different sizes, and with this ramp being made from fibreglass, is relatively lightweight compared to most metal options. 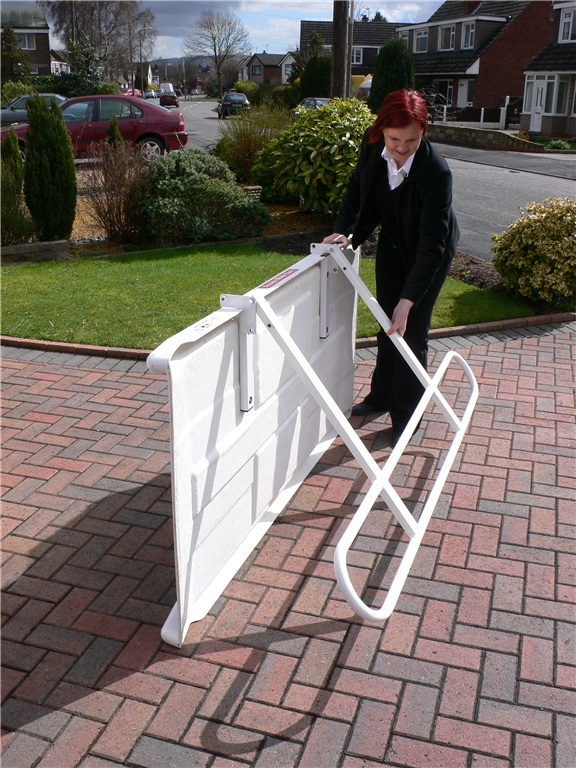 The handrail, while providing extra reassurance and support, doubles as a carrying handle when folded underneath making transport and storage easy. 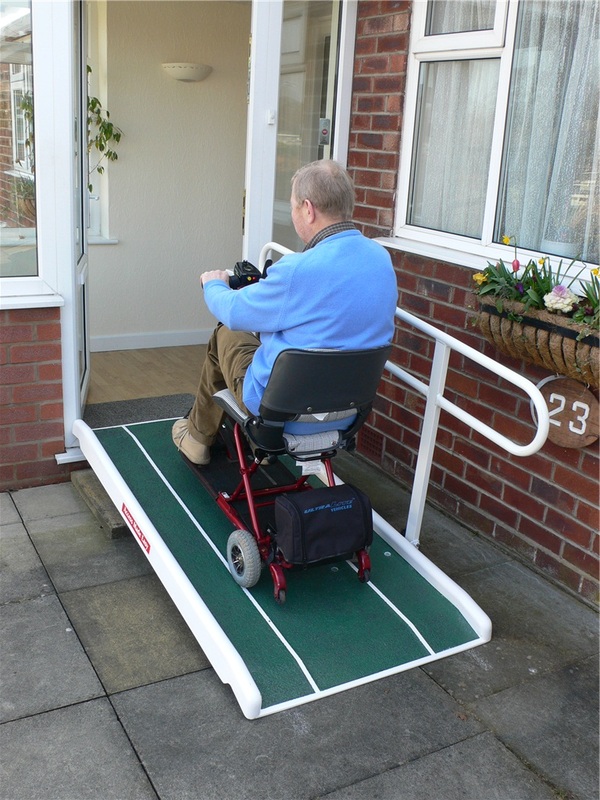 Brilliant ramp bought to enable access our church community room , its lightweight , portable and easy to store when we aren\'t using it. quick delivery and all round perfect for our needs.